See below for course dates and prices or order a gift voucher as an ideal Christmas or Birthday present. There is no longer a London Boat Show, however, we will be exhibiting at the RYA Dinghy Show at Alexandra Palace 2-3 March 2019. 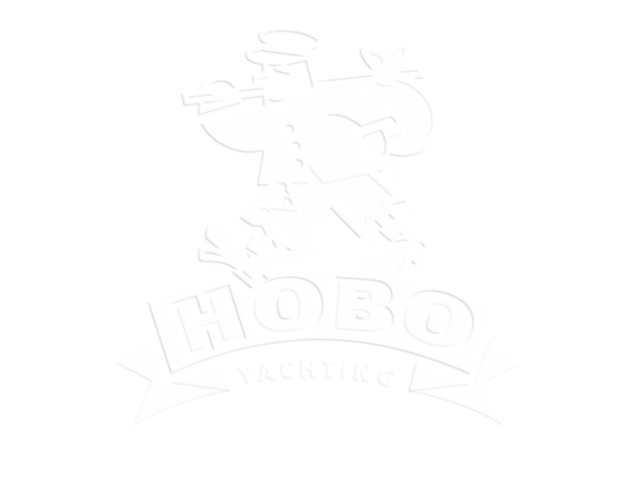 We will also have a marina berth for our school boat, Happy Hobo, at the Poole Harbour Boat Show, 7-9 June 2019. We will be exhibiting at the prestigious Southampton Boat Show 13-22 September 2019. Hobo Yachting have recently introduced their Day Skipper and Coastal Skipper Combined Theory/Practical Courses – now you can take advantage of the introductory price of £750 for the Day Skipper Package and £795 for the Coastal Skipper Package. Undertake the theory element by distance learning in the comfort of your own home at your own pace of learning, with tutor backup just an email or phone call away. When you are ready move onto the practical course by joining us in the Solent on our beautifully maintained Moody Yacht. Please use a browser that supports iframes. Hobo Yachting have teamed up with Ocean Training to offer the ideal solution for those people who have limited time off work. The theory element of our Day or Coastal Skipper course can be undertaken in your own time, in your own home and at your own pace. A major plus point in our theory course is that if you decide to subsequently do your practical course with us you will have the same instructor for both the theory and practical parts of the course - Ken Campling is a mature, experienced Ocean Yachtmaster Instructor who will be available either by phone or email to offer assistance in the theory course whenever you require it. Our easy to follow theory courses are available in Windows or Mac format and provide step by step instruction with lots of animations and graphics. As a new addition to our portfolio we are delighted to announce our link with Skippers Online, a leading provider of online courses in the RYA training world. With their courses you can study anytime, anywhere with an Internet connection or offline on Ipads and Android tablets. All lessons are fully narrated and exercises are presented in several ways, not just multiple choice. Mock exams are provided to help you check your knowledge and prepare you for the real thing at the end. Book here to enjoy this exciting new course! 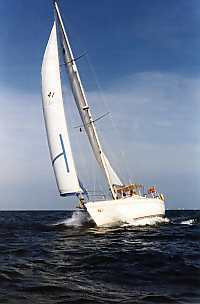 A Start Yachting course is a taster weekend and is an introduction to sailing and how a yacht works. More experienced clients are welcome to join us for a weekend sailing in order to consolidate their skills. The course will cover basic boat handling skills, helmsmanship, sail handling, mooring and ropecraft. HAPPY HOBO's wide side decks and large cockpit make her an ideal vessel for the complete beginner. Contact us for dates which are available on demand for groups of 3-5 people booking together. is an ideal introduction to cruising and teaches personal safety, seamanship and helmsmanship to the level required to be a useful member of the crew of a cruising yacht. The course will cover basic boat handling skills, helmsmanship, sail handling, mooring and ropecraft. HAPPY HOBO’S wide side decks and large cockpit make her an ideal vessel for the complete beginner. is intended for those who already have 5 days seatime including 4 night hours sailing and 100 miles and are already at Competent Crew level. The course aim is to teach pilotage, navigation, seamanship and boat handling up to the standard required to skipper a small cruising yacht safely by day in waters with which the student is familiar. The course builds on basic navigation and sailing skills and is aimed at those with little or no experience of skippering. It assumes the level of knowledge which would be attained through the Day Skipper Shorebased Course. The attainment of the Day Skipper Practical Certificate qualifies the student for the issue of the International Certificate of Competence (ICC). is for those who are already at Day Skipper Practical level and with at least 300 miles logged, 8 night hours, some skippering experience and who are aiming to skipper a yacht on longer coastal and offshore passages by day and night. The course concentrates on effective passage planning, day and night pilotage, yacht handling in confined spaces under power and sail handling in emergency situations. Experienced skippers who require MCA/RYA certification may join us for intensive preparation leading to examination at the end of the course. Coastal skippers must have 800 miles, 12 night hours and 30 days at sea. For holders of the Coastal Skipper Practical Course Completion Certificate the seatime requirement is reduced to - 400 miles, 20 days living on board, 12 night hours, 2 days as skipper. Yachtmasters - 2500 miles, 5 passages over 60 miles including 2 as skipper and 50 days at sea. WHY NOT GIVE THE PERFECT PRESENT OF A GIFT VOUCHER TOWARDS ONE OF OUR COURSES OR EXPERIENCE DAYS. CHOSE FROM A DISTANCE LEARNING NAVIGATION COURSE, A PRACTICAL SAILING COURSE, OR A DAY OUT ON THE SOLENT. VOUCHERS AVAILABLE FROM £150. All of our courses can be paid for in Euros if preferred. All prices fully inclusive apart from evening meals/mooring fees/waterproof hire. Hosted by Multiplex Internet Services Ltd.